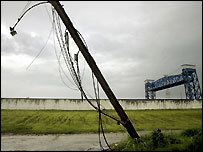 One year after Hurricane Katrina, BBC News explains how engineers are planning to protect New Orleans from future floods. Residents of St Bernard's Parish in New Orleans try to rebuild their lives. Q&A: Can the US afford relief? Are you affected by Katrina?